Love will be in the air as couples across the nation share romantic Valentine’s Day dinners at their favorite intimate restaurants. But don’t expect the affection to be shared by many small restaurant owners, who find they aren’t raking in the big profits that one might expect on a traditional dine-out occasion sometimes requiring reservations to be made weeks in advance. This Valentine’s Day, Americans are expected to spend $3.7 billion on an evening out, according to the National Retail Federation. But Valentine’s Day is only the 107th-best sales day of the year, falling behind St. Patrick’s Day and Cinco de Mayo, according to Womply, a San Francisco-based software company that analyzed credit card data from 26,000 restaurants last year. Local restaurateurs see only a 4% increase in the number of checks they’ll hand out compared to a normal night, but the dinner tabs will collectively run 18% higher, Womply found. •Less table turnover. Patrons will linger longer, which means fewer tables available over the course of the evening. •Tables for two. Tables normally used to seat four people are now only booked for two. •Labor costs. They are higher due to the extra manpower needed to handle the crowd. •Prix-fixe menus. To speed service, many eateries serve only a fixed-price menu, which means wait staff can’t as easily up-sell diners on higher-priced, and more profitable, menu choices. •Higher food costs. Some suppliers jack up prices on items they know chefs will want to serve, like lobster. •Decorations. Owners have to spend extra on festive extras to give away to customers, like glasses of champagne or roses. Part of it, he said, is an increasing number of people opting to make dinner at home as a romantic gesture instead of going out to eat. 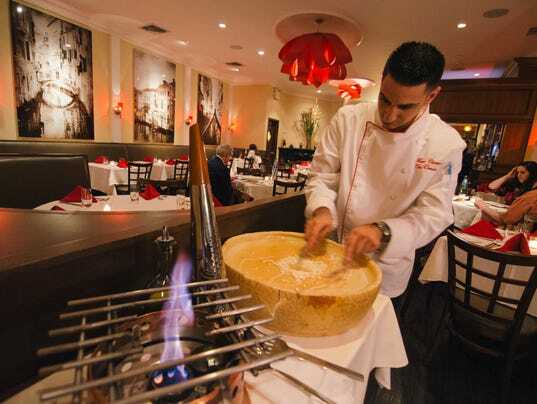 Marco Chirico, owner of Marco Polo Ristorante in Brooklyn, N.Y., says a Valentine’s Day that falls midweek, like the one this year, can cause even more trouble. Fewer customers show up on the weekends before and after. When the holiday falls on a weekend, his busiest part of the week, he gets no significant boost in reservations. Chirico explained that usually a Wednesday will bring in $2,800 to $3,000 and that Valentine’s Day means an extra $1,200 in revenue. By comparison, a typical weekend night rakes in $7,000. Kevin Murphy, a former restaurateur who is now a University of Central Florida associate professor, doesn’t look back fondly on Valentine’s Day. “It was like a hurricane. It sucked everything out to sea,” he said. Even if Valentine’s Day business was great, “my business went down before and after,” he said. Chris Staples, the spokesman for Eat Restaurant Partners with eight restaurants in Richmond, Va., said he understands why restaurant operators “dread” Valentine’s Day. There are things eateries can do to try to make the day better for them. They can rent smaller tables to squeeze in more customers. They can encourage waiters to turn over tables more quickly.